Along with Breton tops and trench coats, one of the most obvious pillars of Parisian style is the bouclé jacket. Coco Chanel first ushered in the classic piece in 1954, and it’s been a hallmark of French fashion ever since. But just because it’s polished and ladylike doesn’t mean it can’t be cool. In fact, it’s an essential wardrobe staple, and we're sure all of our favourite French girls have at least one in their closet. The trick to keeping it modern is all in the styling. The most modern way to wear one is pairing it with a T-shirt and jeans or with a leather miniskirt. Even though it’s been around for over 60 years, current styles are anything but boring—they can be cropped or boxy, trimmed in leather or even styled like a biker jacket. Scroll down to shop some of our favourite styles from The Kooples, Alexander Wang, Erdem, and more. Cool French girls love The Kooples. Pair this jacket with a leather miniskirt. The leather details make this style look modern. Karl Lagerfeld is the master of a tweed jacket, and this style comes with a modern spin. We love the fringe trim detail. Great tailoring is key for a polished look. This biker version is a modern spin on the tweed jacket. Get this cool pastel option. An all-American twist on the French jacket. 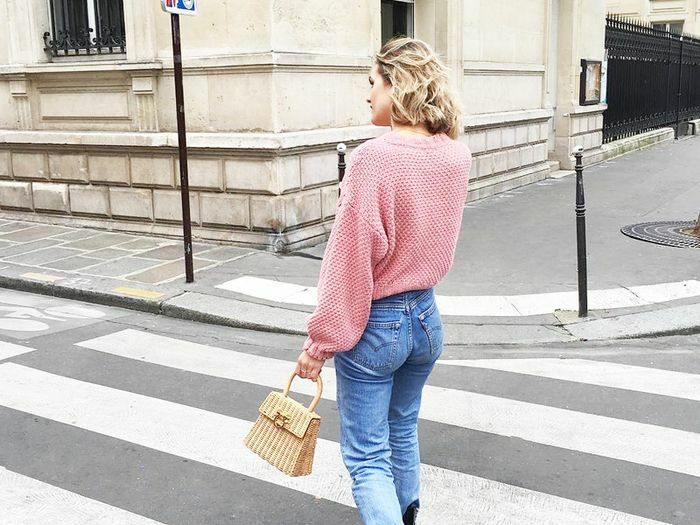 Next up: more tips for mastering French-girl style to tap into their je ne sais quoi.